Ongoing Cost- What will be the ongoing cost per user for the tool? Will there be an additional charge for additional users? Features- What features are being offered in the given price bundle? User-interface- Is it easy to use and understand? Setup and implementation cost- Is there a setup and implementation cost? Software integrations- Will it integrate easily with CRM, Email or other software? If you’re a marketer, you would’ve heard about marketing automation but if you’re a smart marketer, you would be either be considering to adopt marketing automation or already using it. While choosing an ideal marketing automation platform for your business, you must take into consideration a number of factors- size of business, target audience, business objectives, budget etc. While some marketing automation platforms offer better emailing and follow up features, others offer social media and analytics. Take into account your business goals and expected ROI along with list of marketing tasks that require automation. This will help you choose the perfect Marketing automation tool for your business. We have assembled a list of the top 10 marketing automation tools and their details in brief to help you understand better. 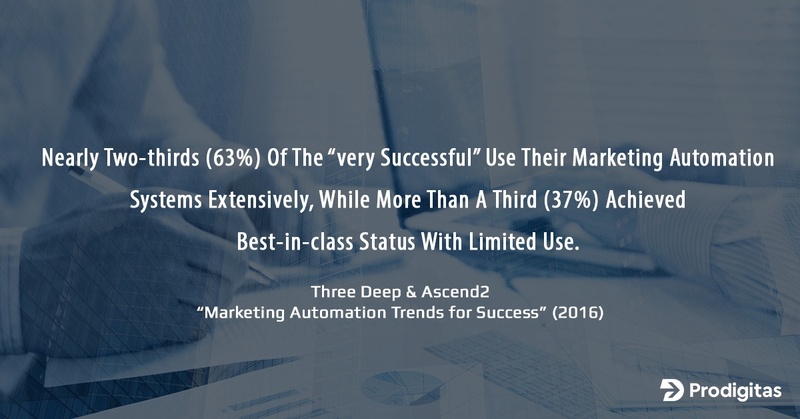 There’s no doubt that marketing automation is one of the most wide used and useful techniques today. It enables marketers to attract relevant prospects and engage with them to gradually convert them into qualified leads and finally happy customers. Generating qualified leads is a tough job; but managing, interacting and following up with the leads is made easier with marketing automation. You must definitely take into account whether they offer features like contact management, trends and insights on buying behavior, analytics and reporting, software integration etc. Also, discuss about pricing, training offered and support. Choosing the best marketing automation vendor out of the plenty of choices can be overwhelming. Before, you make the final plunge of choosing the marketing automation vendor, we suggest you ask a few questions for better clarity. Read our blog on the How to compare your marketing automation provider to choose wisely. Investing your dollars into the right marketing automation platform is a tough call. And, evaluating features and prices of each marketing automation platform is tougher. Your marketing automation software should offer all features required by you need to launch effective marketing campaigns that in turn, generate interest about your business in your buyers’ minds, and build trust. While you're making the important decision of selecting the marketing automation vendor, it is critical to analyze the price factor to enable improved business productivity. Many marketing automation vendors offer their platforms with features bundled in different price packages. It is important to understand the deliverables of each price plan and the features included. You may want to take a moment to understand each package for better clarity and avoid last minute surprises. Once, you know the final cost, it will help you select the right marketing automation tool for your business to plan your marketing strategy and campaign for maximizing your ROI. This will help you choose the most ideal package suitable for your business. Marketing automation on your mind? Let the certified marketing automation experts at Prodigitas help you and your business fast-track to a high-trajectory growth and ROI. Wondering which Marketing Automation software is ideal for you? 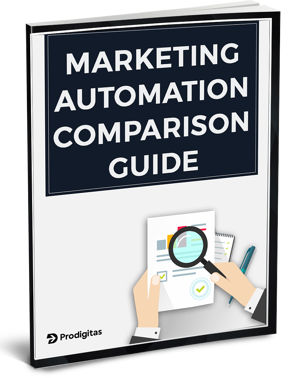 Our free marketing automation tools comparison guide has helped numerous busy managers like you to make the right decision on choosing the ideal marketing automation platform.